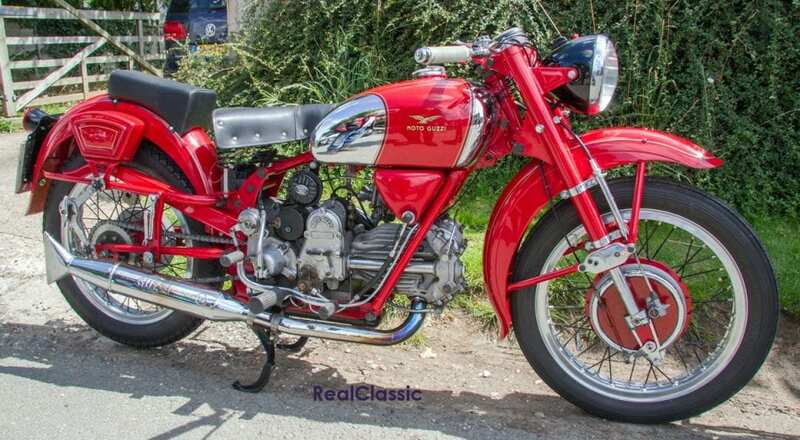 I could tell you that the Moto Guzzi Falcone of the 1950s has a single cylinder, ohv engine with a bore and stroke of 88mm x 82mm producing a swept volume of 495cc; that the compression ratio is 6.5 to 1, and the 43mm inlet valve and 40mm exhaust valves are inclined at 60°. 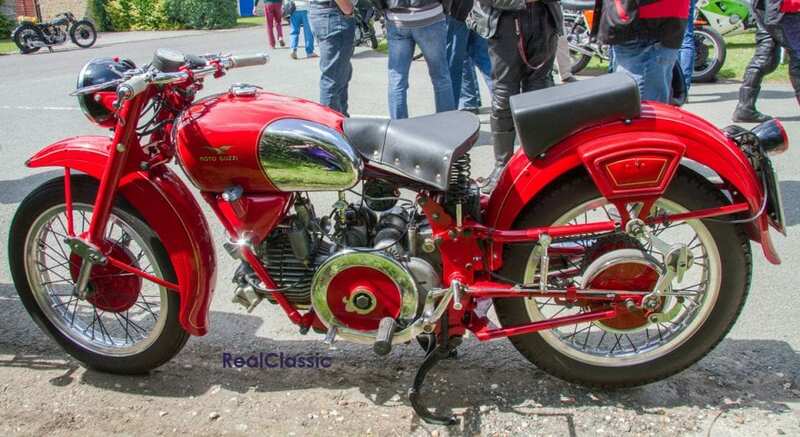 I could make mention that the carburettor is a Dell’Orto SS29A, that the constant mesh gearbox has four speeds, that the front suspension has upside-down telescopic forks, whilst the rear features a pivoted rear fork with springs beneath the engine and damping provided by friction discs at the centre of scissor levers. 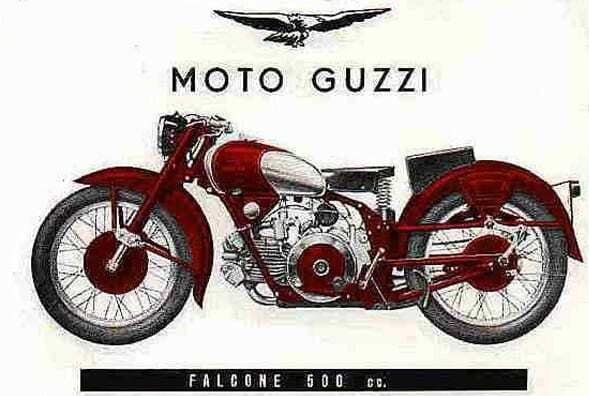 We could also discuss the Falcone’s competition heritage with many components derived from the competition Condor and Dondolino models. The first Falcone of 1950 benefitted from superlative build quality and proved to be comfortable and stable in use, with all the benefits of its long-distance endurance pedigree. 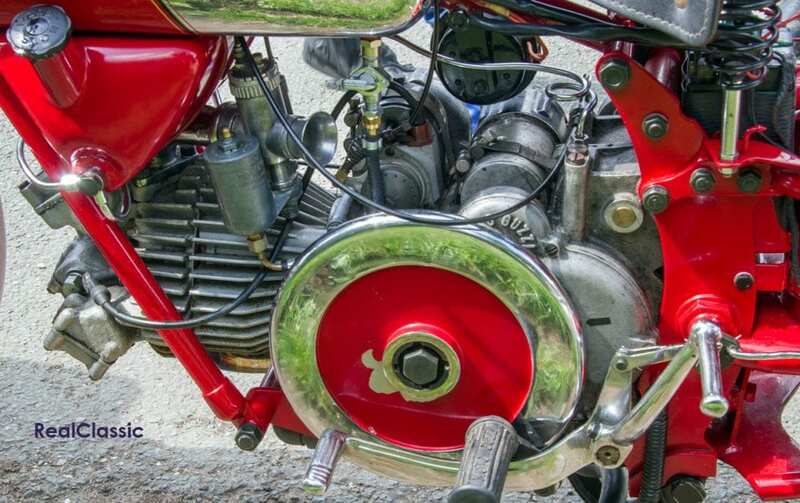 Its apparently tireless engine, aided by that characteristic external flywheel which spins ‘backwards’, generated next-to-no vibration and established the model’s solid-gold reputation. 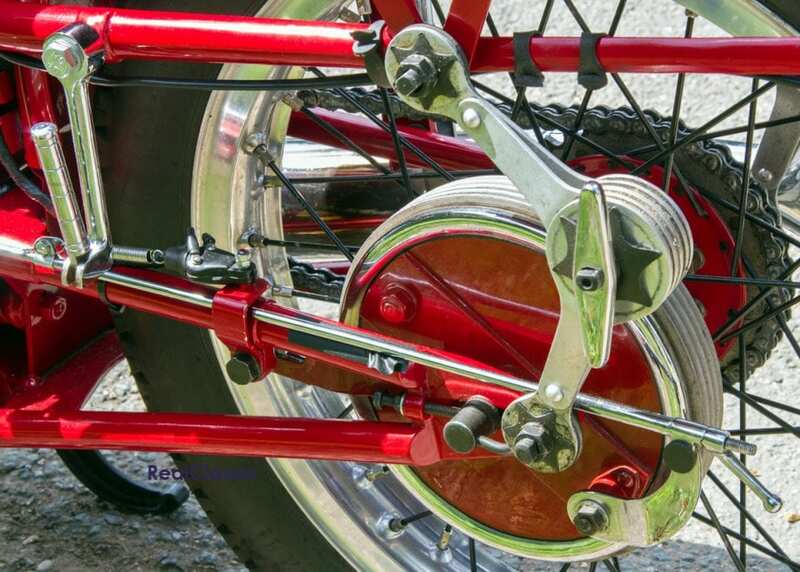 There may also be talk of effective 7.9” expanding brake drums in 19” alloy wheels, a Marelli DN 19G 30-watt dynamo, a magneto and manual advance/retard functionality. 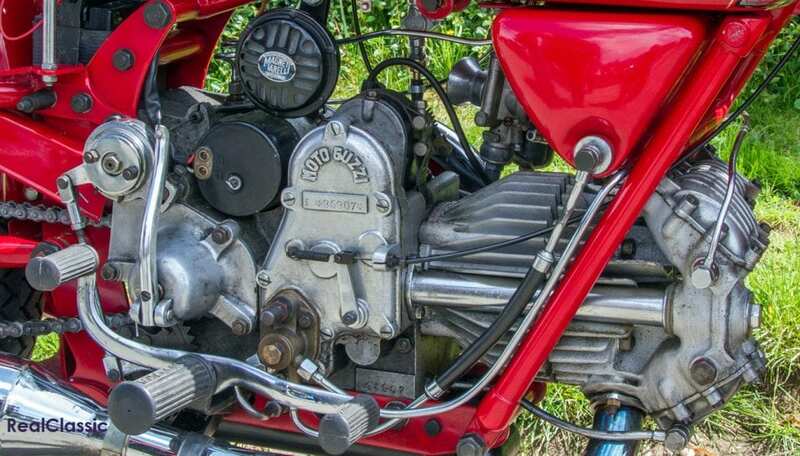 Finally the performance of the 388lb motorcycle with its output of 23bhp at 4500rpm and claimed top speed of 84mph would round out the factual data. 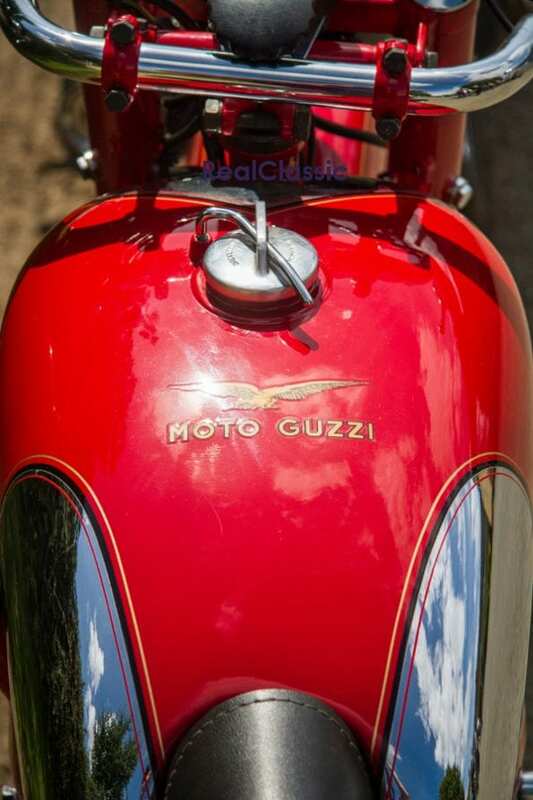 On the other hand I could tell you that the Moto Guzzi Falcone is more a piece of art than simply a means of transport, where the sublime whole transcends the sum of its mundane mechanical parts. I could remind you that the people who sculpted this machine from metal came from the same nation that gave birth to Michelangelo who sculpted his David from marble. I may point out that the number of straight lines is by far outnumbered by the number of curves that seamlessly slide into one another with sinuous ease. Finally I could postulate that the colour palette of red, silver, gold and black crowns this icon of Italian automotive design in a way that no other colour combination could achieve. Previous Post:September issue on sale!